Nebraska’s shift to Bob Diaco’s 3-4 defense last year produced disastrous results on the whole, but one bright spot was the emergence of Luke Gifford as a versatile, consistent contributor. The 6-foot-3, 235-pound Lincoln Southeast product lined up all over the field, starting at both outside linebacker spots and even lining up on the line with his hand in the dirt from time to time. Gifford racked up 39 tackles and 1.5 sacks in seven games before seeing his season cut short by an injury. However, outside of Gifford, the position was a bit of a mess. Marcus Newby played quite a bit, but he was a senior. The rest of the snaps were taken by a revolving door of ‘backers including Alex Davis, Sedrick King, Ben Stille (he got moved back and forth between defensive end and linebacker), Tyrin Ferguson and Collin Miller. That collection produced just 6.5 sacks all year. To compare, Central Florida’s Shauqem Griffin racked up seven sacks by himself and the other outside linebackers chipped in another five. 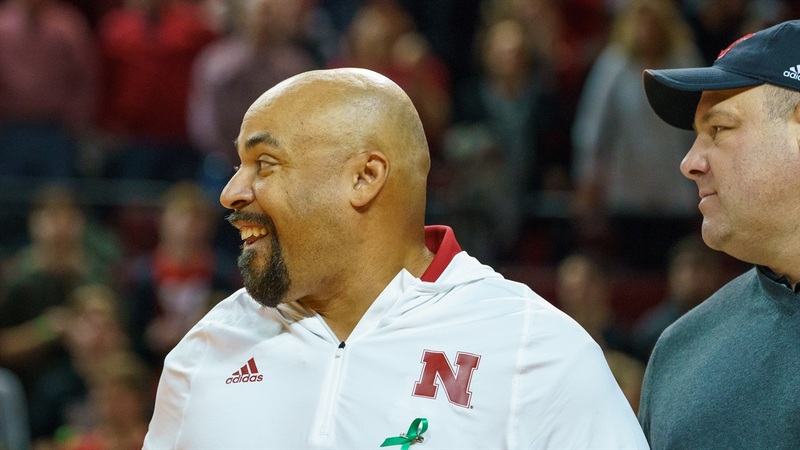 Nebraska doesn’t quite have a player like Griffin, one of the best stories from the NFL Combine, but in order for defensive coordinator Erik Chinander’s defense to work in Lincoln, Nebraska is going to have to get some production from that spot. The new coaching staff hasn’t been in Lincoln for very long, but linebackers coach Jovan Dewitt said he’s working towards getting to know all the guys in his room. With spring football having started on Friday, the time has come for the players to show their new coach what they’ve got. The injury that knocked Gifford out for the season will keep him out for the spring, but he should be back in plenty of time for the fall and will likely be a key player as a senior. Sedrick King is also dealing with an injury but will have a chance to make his way back to the field at some point during the spring according to Scott Frost. Stille has moved back to defensive end. That leaves Davis, Ferguson and Miller as players who have seen live snaps. Sophomores Quayshon Alexander and Pernell Jefferson and redshirt freshmen Thomas and Hampton are in the mix as well, while true freshman David Alston could potentially redshirt if the coaches can find enough production out of the upperclassmen. What are these players going to have to show to get on the field? “There’s a certain innate level of intelligence that you’ve got to be able to have because, really, it’s a unique spot in that you’ve got to be able to line up sometimes as a five-technique outside shading the tackle, you sometimes have to be able to line up in space like a true linebacker, like a Mike or Will, and then sometimes you have to line up outside the number two receiver, being able to play that guy in outside man,” Dewitt said. “It’s a skill set that is really unique and varied. Gifford seems to fit the bill that Dewitt described in terms of versatility. Davis, King and Miller are more limited as former defensive ends trying to transition to linebacker. It’s difficult to know what kind of players the underclassmen are considering their lack of playing time to this point. Nebraska certainly doesn’t lack depth in terms of bodies at the outside linebacker position. Whether or not the players they have are a fit is yet to be determined. That process of discovery for the coaches began on Friday and will continue all the way until Sept. 1.